Millbank Tower and 30 Millbank are Grade II listed buildings sitting in an area rich with history and heritage, adjacent to several conservation areas and a stone’s throw from the Houses of Parliament and the UNESCO World Heritage Site of Parliament Square. 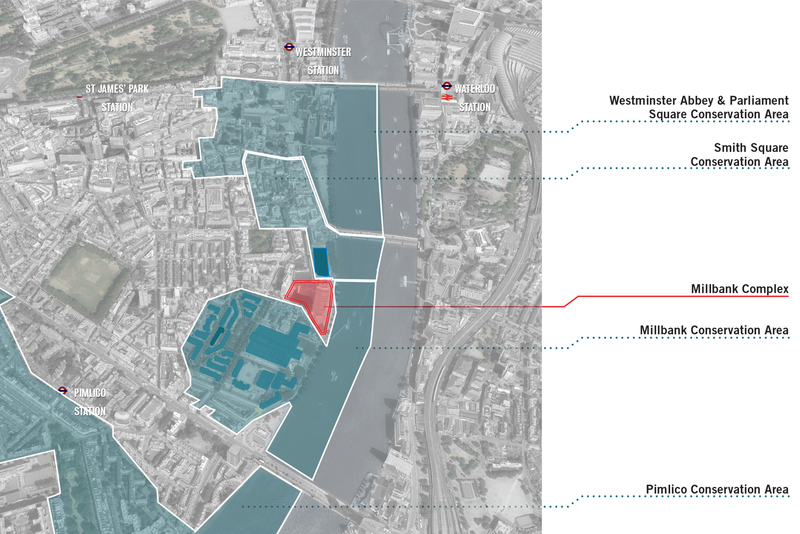 We neighbour the renowned Tate Britain art gallery and nearby Chelsea School of Art so we believe that our inclusion of a cultural centre, as a key part of our proposals, will confirm this section of the Thames riverside as an enriched arts and culture destination. After months of careful consideration for a potential architect we appointed world-renowned architects John McAslan and Partners in 2015 to realise our vision for the regeneration of this iconic tower and site.